It is a time of despair and growing darkness. Sauron the Great, the Dark Lord of Mordor is back to Barad-hard. From there, once again, spread its corruption and evil power. Alas, in front of him the West is bloodless. The Elves are now leaving Middle-earth, and the blood of Númenor is drying up, what's left to land in Minas Tirith, and with some ranger who wander through the ruins and wild lands of Arnor. Yet there is still hope. Gandalf the Grey has learned that the One Ring, the ring-master Sauron desires and fears most in the world, lies with Frodo the hobbit in the Shire, the place as the least evil of Middle-earth. And there are heroes! Heroes that will help Gandalf in his pursuit of Gollum and his quest for lost knowledge of Isildur's Bane. Heroes that protect the County from the enemy. Heroes who will venture into the forests of Ithilien, and even in the Land of Shadow, to put fi n the dark machinations of Sauron. A player takes the role of Sauron, trying to dominate Middle-earth with his foul conspiracies and evil servants. Up to three other players take the role of hero to remove the threat until Gandalf plans into place. To do this, the heroes must embark on dangerous quests and meet famous people of Middle-earth to win the favor and knowledge. Will you be trying to capture Sauron in Middle-earth? Or will you play a hero standing up against the Dark Lord? The fate of Middle-earth is in your hands! Le jeu est prometteur dans la lignée de la Fureur de Dracula ou Lettres de Whitechapel avec une bonne immersion dans le Monde de Tolkien servie par un matériel de toute beauté ,je regrette quand même le manque de cartes ombre ,conspiration,rencontre ... 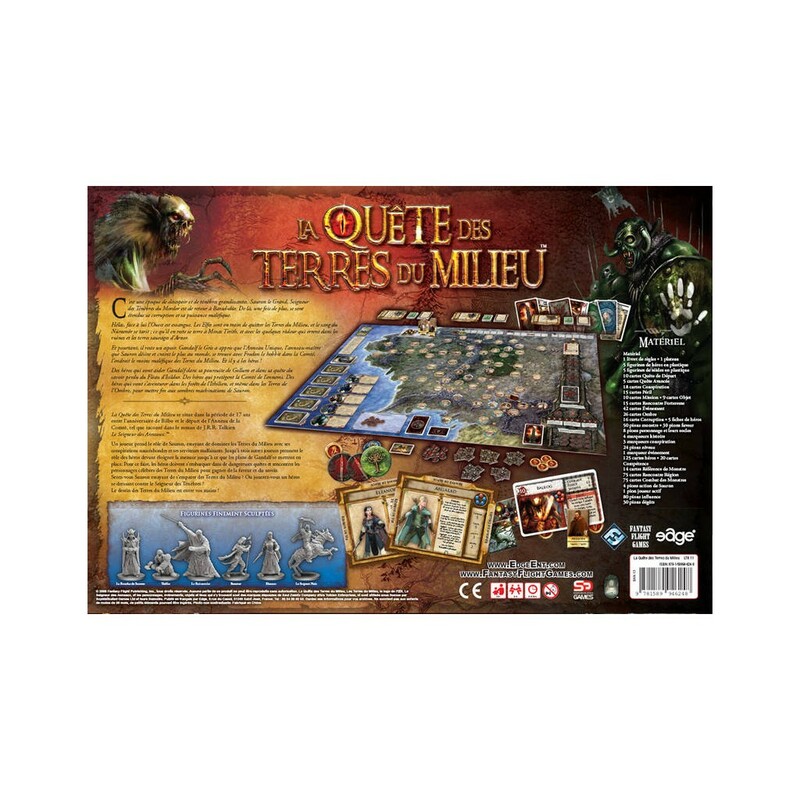 Par contre j'apprécie beaucoup le système de combat qui rappelle celui de La Fureur de Dracula et après quelques tours de jeu ,les tours deviennent fluides et voir son influence grandir avec différents lieutenants et monstres qui se déploient sur les terres du milieu, pendant que les héros essaient de déjouer nos plans en tentant d'accomplir leurs quêtes ,est juste jubilatoire. 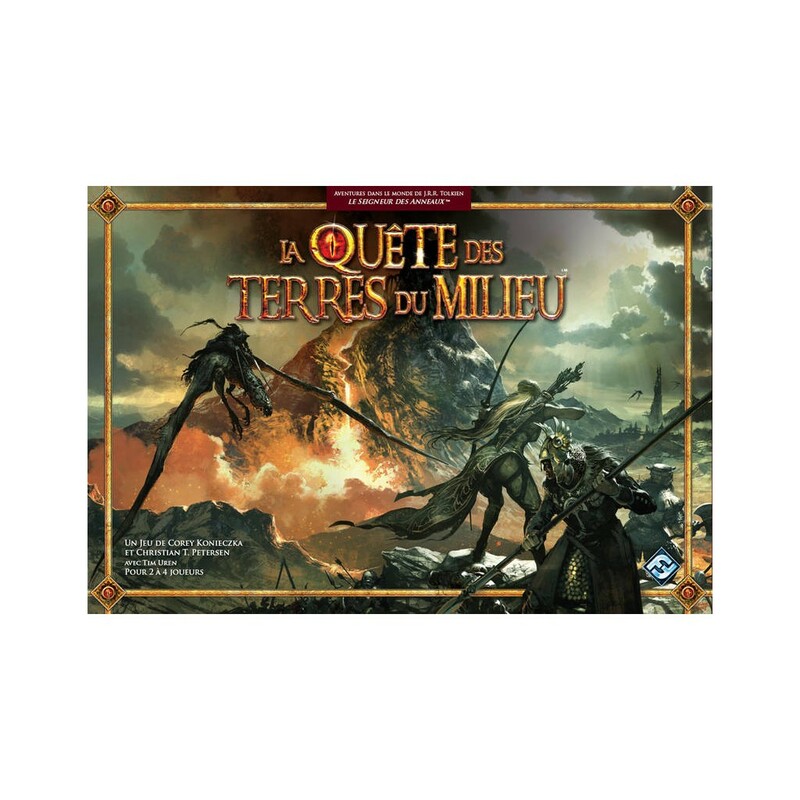 Sublime boite de jeu avec de magnifiques illustrations immersives qui nous plongent totalement dans le monde de Tolkien! Excellent.